To inspire and motivate organisations working for and with children with disabilities, a good practice report on child participation was published, collecting interesting and thought-provoking projects in this field. 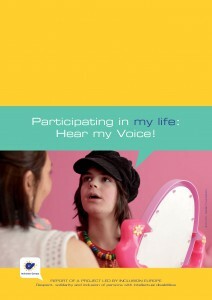 The publication was meant to demonstrate that participation of ALL children in ALL environments is meaningful. Age-appropriate and accessible information should be available for children with disabilities and this may be achieved by using alternative communication methods, person-centred methods and direct consultation with children, their families and/or their close ones. You can read the report (only in English) here. 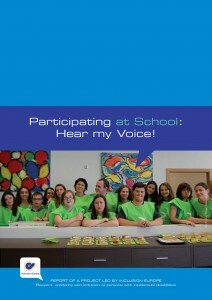 As a result of the training and teaching activities with children with intellectual disabilities, geared at helping the children to participate in various matters which affect them directly, tools for individual and collective participation have been developed to use at school, in small group homes and in large institutional settings.